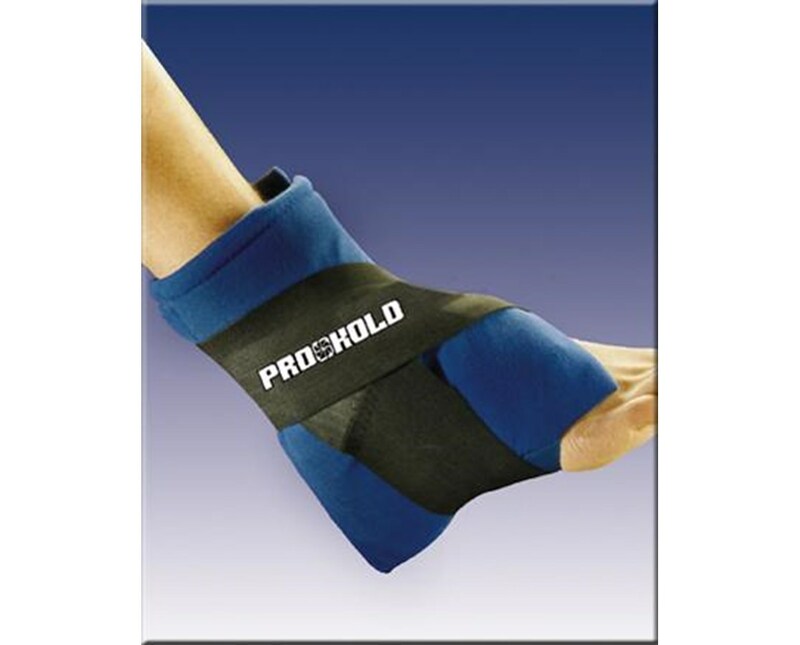 Pro-Kold's Foot & Ankle Ice Wrap features Ice Mat pillows (purified water with food-grade freezing agents) sewn into the wrap using sturdy, hook-engageable nylon fabric with an anti-microbial finish to safely control bacterial growth on the wrap. When frozen the ice pillows remain flexible to ensure a comfortable fit and excellent application of cold to injury site. 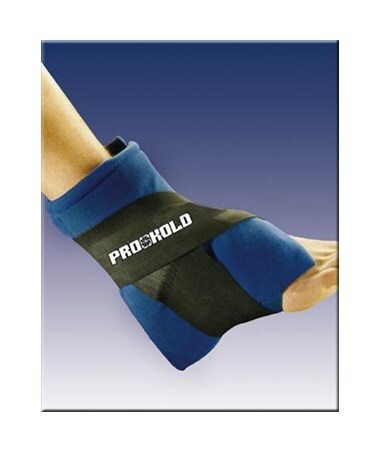 The Foot & Ankle Wrap provides safe, comfortable compression while remaining dry. The wrap provides sufficient cold therapy for bumps, bruises, strains and sprains. Pro-Kold wraps provide up to 2 hours of cold treatment at a safe temperature. This durable, hand-washable wrap can be refrozen and reused repeatedly without losing its effectiveness. The outside velvet loop fabric allows desired compression and fit for all sizes.